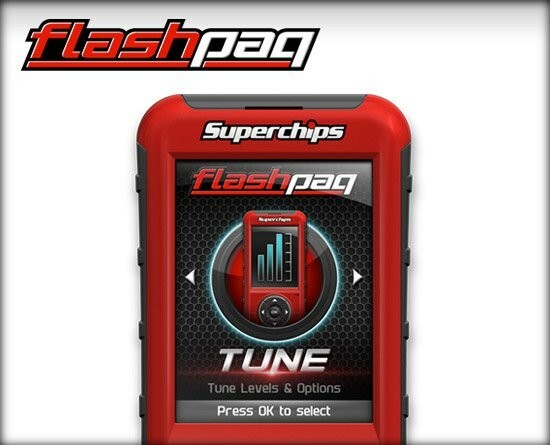 Superchips Flashpaq for Ford (PN 1845) packs a punch and is loaded with gas and diesel tuning coverage designed to impress. Improved horsepower, torque, and fuel economy are results you can expect to see on your Ford F-150, Power Stroke, or Mustang. With extensive vehicle coverage, this Ford performance programmer is the industry-leading handheld tuner. Popular applications include the 3.5L Ecoboost, 5.0L Coyote, and 6.7L Power Stroke motors. Hesitant about your tuning your Ford due to your vehicle's warranty? Put your mind at ease and drive with the assurance knowing Superchips Flashpaq for Ford is equipped with a 2 year powertrain warranty. Eliminate excessive downshifting, tow with power throughout the RPM band, and experience a night and day difference with the Ford Flashpaq. 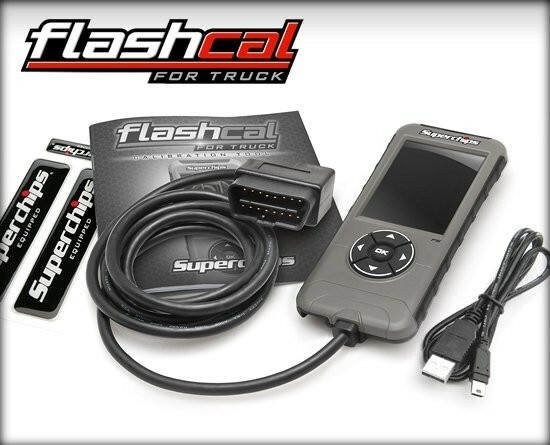 Configure your F-150, Super Duty, Mustang, and more today to review specific horsepower and torque gains, tire and gear calibration options, and additional features. Optimize your driving experience with a performance programmer unlike any. 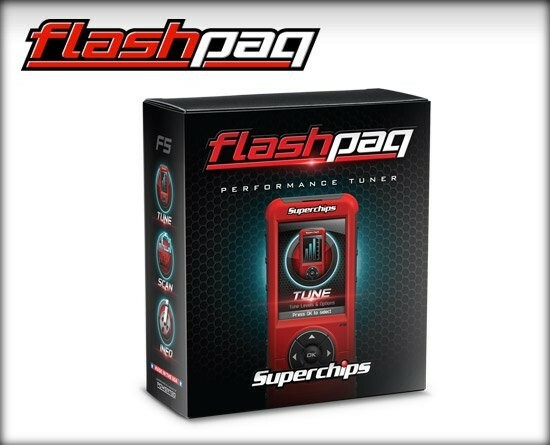 Shop for Superchips Ford Flashpaq (PN 1845) today. 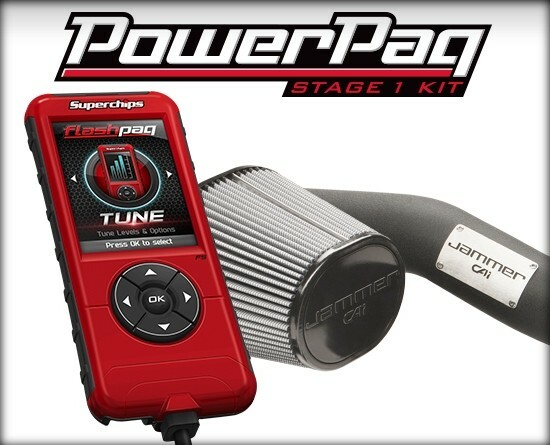 Stage 1 Powerpaq for 12-14 3.5L Ecoboost F-150 gas trucks.Add a Flashpaq tuner and Jammer intake to improve vehicle performance. F5 Ford Flashpaq is rated 4.3 out of 5 by 79. Rated 5 out of 5 by Rockin Robin from I WOULD NOT HAVE BELIEVED IT ! I have over 265,000 miles on my 2002 7.3 Excursion ..... I told my mechanic, Karl, I felt like I was starting to lose a little power .... He said my truck was in great shape but he had just the thing to pep her up .... He told me to order a Superchip Ford F5 Flashpaq .... Received it in two days .... I just went to the medium setting .... "I WOULD NOT HAVE BELIEVED IT!" .... She now takes off like a scarred rabbit .... Pulls my fully loaded 10,000# equipment trailer like it's not there .... AND .... I'm getting better mpg .... This thing is fantastic! .... I can't wait until they have a Superchip available for my son's 2017 F-450 .... Thanks to Superchip and Karl !!!! Rated 4 out of 5 by RAMRUNNER from 2002 FORD V10. gave it a wake up call, better throttle response, much better shifting , and 1.5 miles per gallon better mileage, better towing, love my ole 6.8 V10, but I love her more now,, would recommend , had some trouble with ford re flashing my computer , to get off old tuner,, wouldn't help me anymore,, read, not stock file after re flash,, super chips tech/customer service , took care of that for me, and got it done right, awesome customer service, impressed ,, the f5 1845 was just what I needed, thanks SUPERCHIPS,,satisfied customer.. Rated 5 out of 5 by Coco from Great on all ends I own landscaping company and put it on my personal truck and I tow a trailer with equipment all the time. The towing package has made a big difference and have gained mpg's and barely notice the trailer there. The performance mode is amazing. The power is there as soon as u need it. I have upgraded my rims and tires and are not factory size. Mph was 5mph off and the setting on there fixed it, no problem. A wounderful upgrade to my awesome Ford F-250 lariat 6.7 turbo diesel. I will be purchasing 5 more for the rest of my fleet. Rated 5 out of 5 by Tygerone from Ford F150 flashpaq Have had this flashpaq installed for about a year. I had increased the size of tires to 305s (about 3 inches from factory) and installed programmer to get my mileage and performance back. It didn't help much with mileage but performance is even better than original. Even after I put the larger tires on it. I gave 5 stars on value and performance but only 4 stars features as I would like a few more options on transmission programing. Rated 5 out of 5 by Brian2019 from WOW! Instant performance. 2017 EcoBoost 3.5 f150 Just got this in and after a few updates on the tuner I was in business. Only tried the "performance" tune so far but can't wait to try the 93 Performance this weekend. A lot of other features as well to customize like turning off Auto Shutoff. There is clear difference in performance and good shifting on the performance tune. Very impressed and I would recommend. It is well known cat that the EcoBoost has plenty of additional performance to give. Also added CAI so the two together sound and drive great. Rated 5 out of 5 by Madbuzz41 from Amazing! I bought this device after ordering 35s to recalibrate the speedometer. This device shipped very fast especially for crossing international border. After installing the tune on my naturally aspirated engine , I instantly felt the motor run significantly smoother and the RPM band felt a lot cleaner. Holds low gearing and stays in lower RPMs under light throttle yet under moderate throttle will hold the RPMs higher longer than usual. Definitely neat. Fuel economy has gone up a lot too. This device definitely pays for itself. What can I expect for a power gain on 08 F-150 4.2L.? I have a 2017 f250 6.7 diesel. Will it recalibrate the speedometer if I add 37&rdquo; tires. What horsepower increase can i expect on my 2013 Ford F150, XLT, 3.7L? 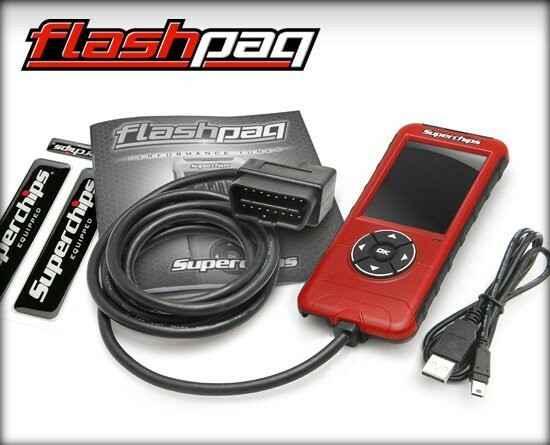 I just bought the 1845 Flashpaq F5 from a dealer. I have a 2012 f350 4x4 6.2 ltr is the flash paw 1845. 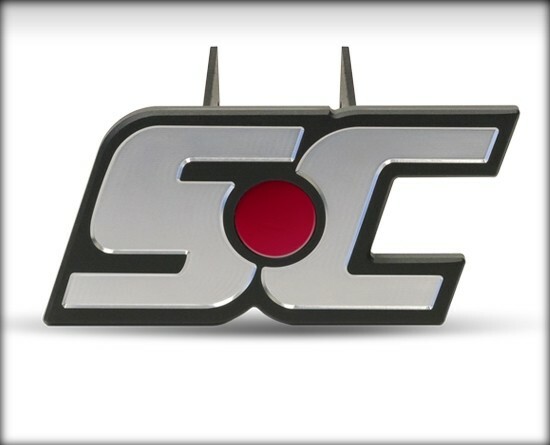 The best chip for my truck? I'm looking for more mpg. Will this product work with a 6.4 power stroke? No mention of it at all here. I have a 2008 F-150 5.4. 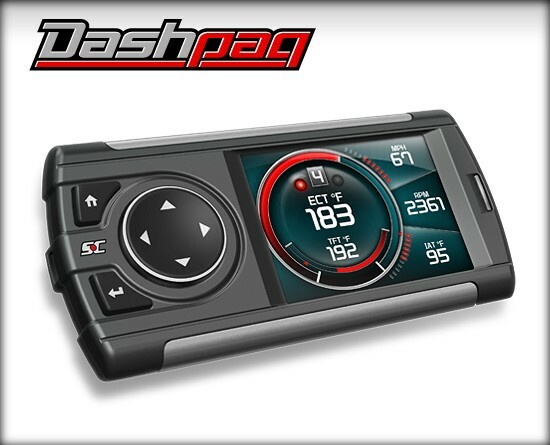 I really like the Flashpaq, but would like to know if there is a way to adjust throttle sensitivity without having to buy a separate product. My throttle is mushy and I hate it. 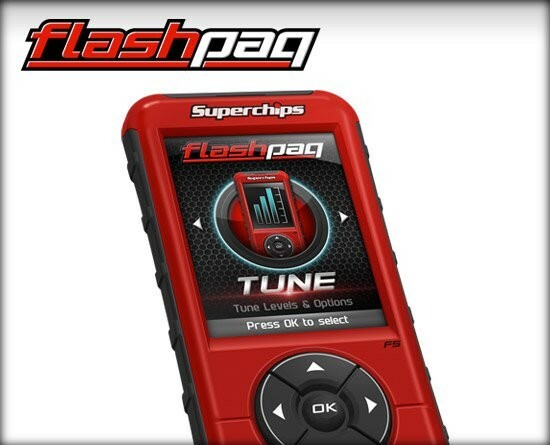 Can you load third party tunes on the flash pak? 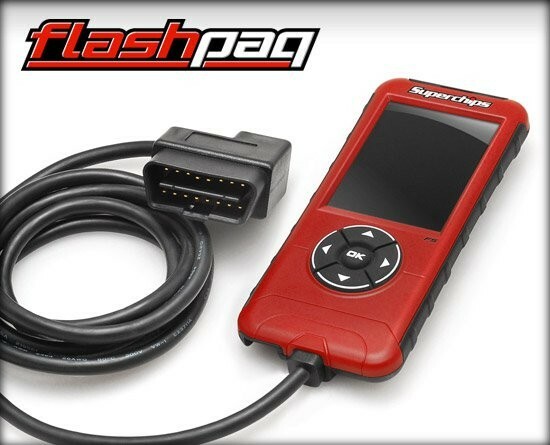 Will this 1845 Flashpaq work in my 2016 EcoBoost Mustang? If so, what types of gains can I expect with a CAI, Throttle body spacer and lightweight water pump pulley?